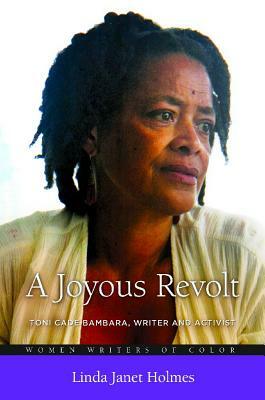 A Joyous Revolt: Toni Cade Bambara, Writer and Activist is the first-ever, full-length biography of a trailblazing artist who championed black women in her fiction as well as in her life. This incisive study provides a comprehensive treatment of Bambara's published and unpublished works, and it also documents her emerging vision of her role as an agent of change. The biography allows readers into the personal life of Bambara, offering personal insights into a woman with a strong public persona and friendships with other celebrated artists of her era. Perhaps most important for those seeking to understand and appreciate Bambara's legacy, it connects her oeuvre to the context of her experience and places all of her wide-ranging creative work in the context of her singular vision. Linda Janet Holmes is a writer, independent scholar, and long-time women's health activist. Her published work includes the anthology Savoring the Salt: The Legacy of Toni Cade Bambara.